In two dimensions, the Harborth graph has four unit-length edges meeting at each vertex. In other words, it has valency four. 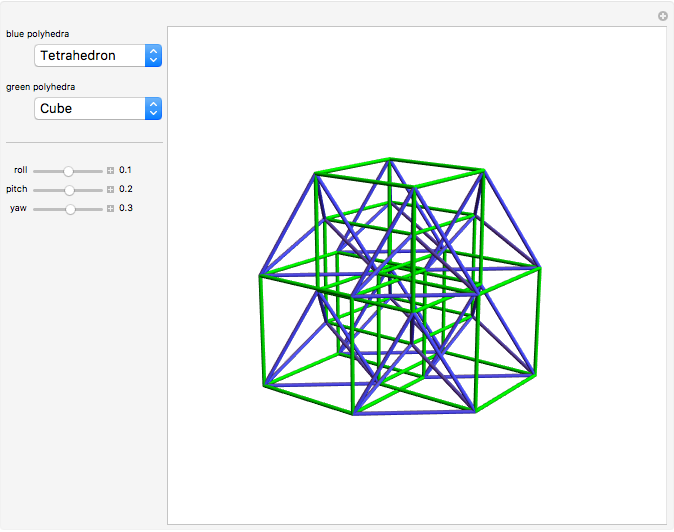 In three dimensions, the octahedron has valency four. 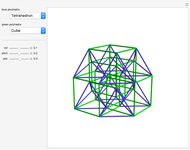 The icosahedron has valency five. What about valency six? 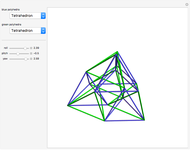 This Demonstration combines smaller polyhedral graphs to obtain larger unit distance with high valency. This combination method is sometimes called the graph product. You can vary the roll, pitch, and yaw (in radians) on the graphic. In 2D, whether the Harborth graph is the smallest graph with valency four is an unsolved question. 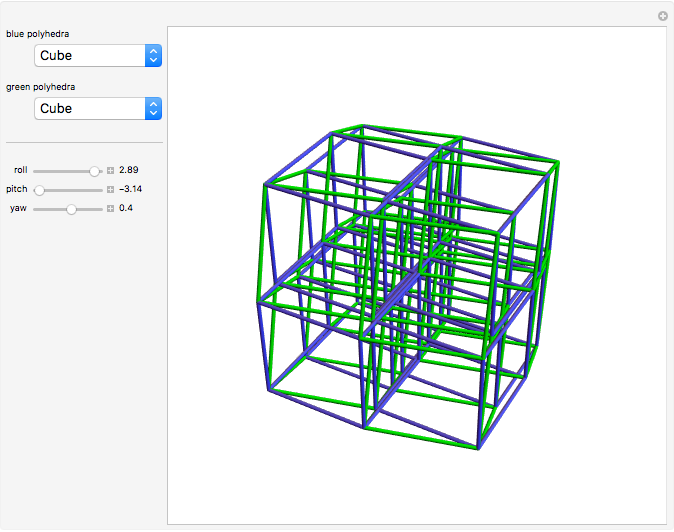 In 3D, for valency 6–10, the methods in this Demonstration can generate unit-distance graphs with 16, 24, 36, 64, and 96 vertices, but there are likely smaller such graphs. 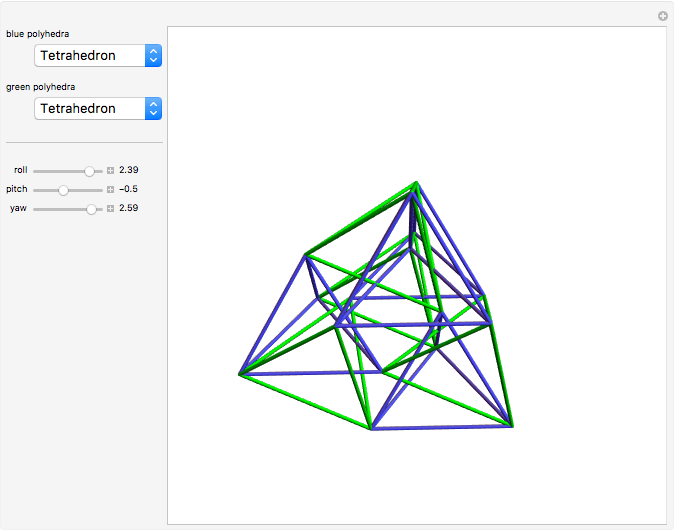 For valency 10, use tetrahedron × tetrahedron × octahedron. 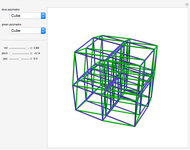 Ed Pegg Jr "3D Unit-Distance Graphs"